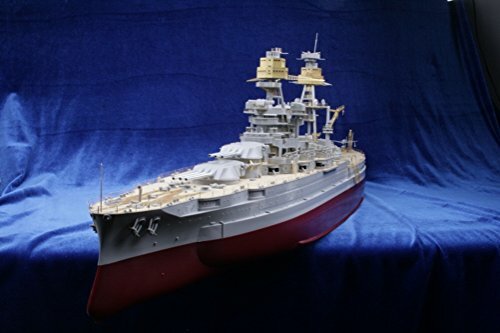 [PRODUCT INFORMATION] MK.1 Design 1:200 USS BB-39 ARIZONA Super Detail-up Parts DX.II Pack for Trumpeter - Brand new, unused item - Product No. : #MD20019 - Scale 1 : 200 - Brand : MK.1 Design - Large Sized Full Wooden Deck - 55pcs Turned Metal Parts - 1 X Pre-Painted Stainless Steel Photo Etched Part - 13 X Brass Photo Etched Part - 20pcs Resin Parts - 5 X Color Manual (10 page) - This product is a product that added MS-20017 Arizona Plus Pack to MD-20001 Arizona DX. - All Parts Made in Korea [CAUTION] - THIS PRODUCT REQUIRES ASSEMBLY - ORIGINAL PLASTIC MODEL KIT & GLUE & PAINT IS NOT INCLUDED [Estimated Delivery Time] - Item shipping from South Korea - Amazon's Estimated Delivery Time is not correct. (Very long) - Our Real Estimated Delivery Time is 7~18 Business days from Korea to USA. (Recently average is 8~13days) - Business day not include weekend & holiday. [PRODUCT INFORMATION] 1:200 ARIZONA Super Detail-up DX Pack for Trumpeter - Brand new, unused item - Product No. 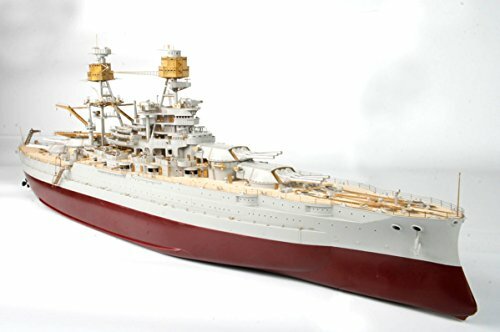 : #MD20001 - Scale 1 : 200 - Brand : MK.1 Design - LARGE SIZED WOODEN DECK - LARGE SIZED 5 SHEETS BRASS PHOTO ETCHED PARTS - 4 PAGE COLOR INSTRUCTURE - All Parts Made in Korea [CAUTION] - THIS PRODUCT REQUIRES ASSEMBLY - ORIGINAL PLASTIC MODEL KIT & GLUE & PAINT IS NOT INCLUDED [Estimated Delivery Time] - Item shipping from South Korea - Amazon's Estimated Delivery Time is not correct. (Very long) - Our Real Estimated Delivery Time is 7~18 Business days from Korea to USA. (Recently average is 8~13days) - Business day not include weekend & holiday. Naval Station Pearl Harbor Dominating Oahu, the most populated island in the Hawaiian Island chain, Naval Station Pearl Harbor Hawaii is home to the United States Navy's busiest port with over 65,000 boat runs each year. First discovered by Captain James Cook aboard the HMS Resolution in 1778, Naval Station Pearl Harbor Hawaii was later established in 1887 and has grown into one of the United States Navy.s largest and most strategic bases.Site of the December 7, 1941 attack by the Japanese which propelled the United States into World War 2, this harbor is home to the Arizona Memorial and the Battleship U.S.S. Missouri. 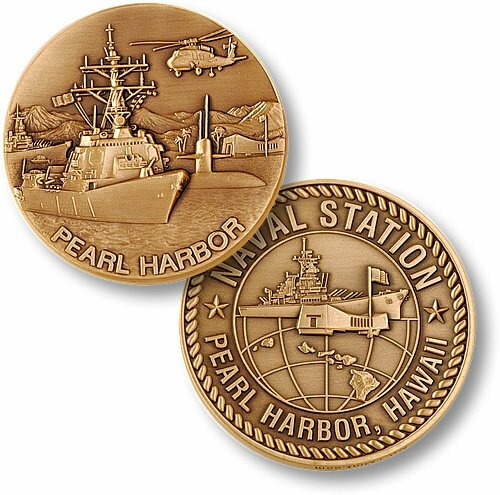 The Pearl Harbor coin is dedicated to the former and current Naval and Civilian personnel who have proudly served this great Naval Station and its pivotal role in this nation.s freedom. The obverse features a harbor scene of Pearl Harbor and the reverse depicts the USS Missouri along with the USS Arizona Memorial. The coin is minted in a brass alloy and given an antique bronze finish. It comes packaged in a poly bag with a header card. The symbolism is undeniable. On one end is the USS Arizona Memorial, a few hundred yards away is the USS Missouri. 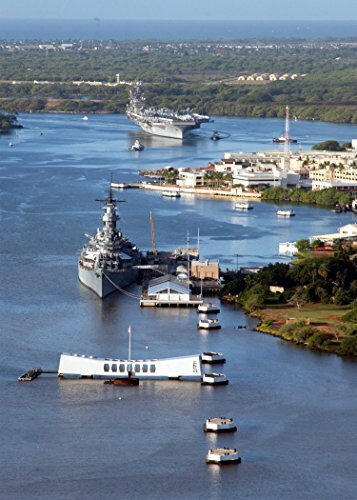 These two battleships, at rest in Pearl Harbor, represent the beginning and the end of WWII.The USS Arizona (BB-39)was torn apart by an armor-piercing bomb in Japan's sneak attack on Pearl Harbor. In less than 9 minutes the magnificient battleship sank emtombing more than 900 servicemen. In 1945, aboard the deck of the USS Missouri (BB-63), General Douglas MacArthur solemnly signed the treaty of surrender ending WWII. 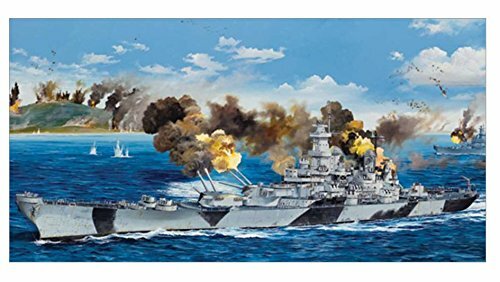 Following up on the 1/200 Arizona, Bismarck, and Missouri, Trumpeter announces the release of this famous US Battleship in massive 1/200 scale. The USS Iowa was the lead ship of her class of battleship, and was the only ship of her class to have served in the Atlantic Ocean during World War I.hen transferred to the Pacific Fleet in 1944, Iowa shelled beachheads at Kwajalein and Eniwetok in advance of Allied amphibious landing. During the Korean War, Iowa was involved in raids on the North Korean coast. After being decommissioned, she was reactivated in 1984 and operated in both the Atlantic and Pacific Fleets to counter the recently expanded Soviet Nav. In April 1989, an explosion of undetermined origin wrecked her N. 2 gun turret, killing 47 sailor. In 2011 Iowa was donated to the Los Angeles-based non-profit Pacific Battleship Center and was permanently moved to Berth 87 at the Port of Los Angeles in the summer of 2012, where she was opened to the public to serve as a museum. This kit consists of over 1,520 parts on 34 spruces and includes a metal chain and shaft, photo-etched handrails, ladders and radar parts and two OS2U aircraft. The completed kit measures over 53" lon. 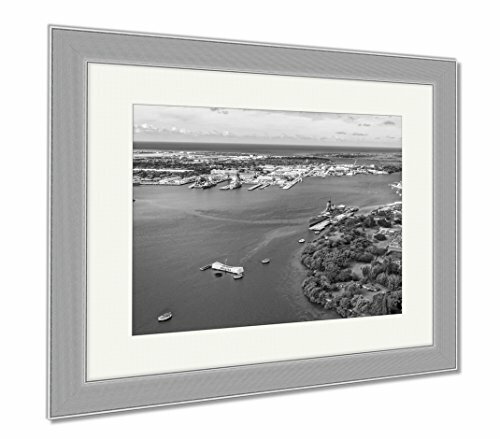 Home Comforts An aerial the USS Arizona and USS Missouri Memorials at Ford Island, Joint Base Pearl Harbor-Hickam. 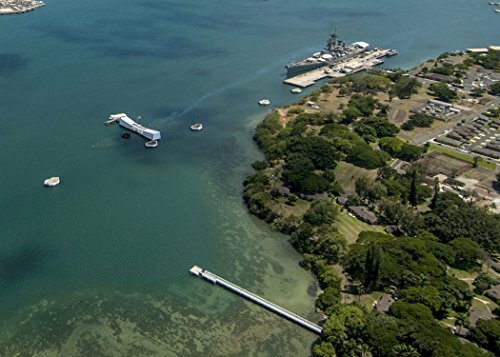 An aerial the USS Arizona and USS Missouri Memorials at Ford Island, Joint Base Pearl Harbor-Hickam. This shirt from the ShipShirtsTM collection features SSN 780 U.S.S. 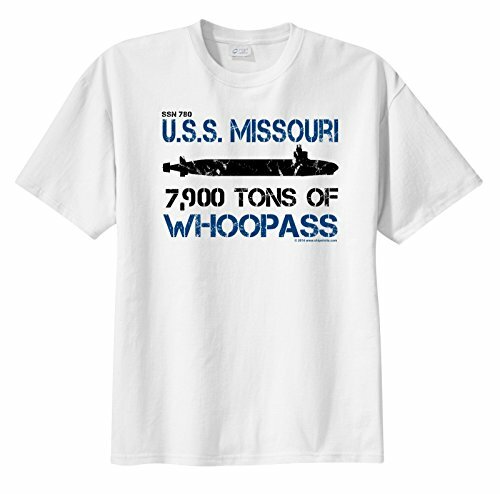 Missouri 7,900 tons of Whoopass. With distressed silhouette of the U.S.S. Missouri.The U.S.S. Missouri is a Virginia-Class Block II nuclear powered attack submarine. The USS Missouri. 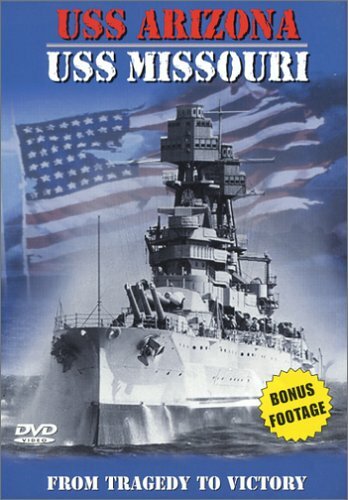 A video commemorating the USS Arizona and USS Missouri memorials in Pearl Harbor. 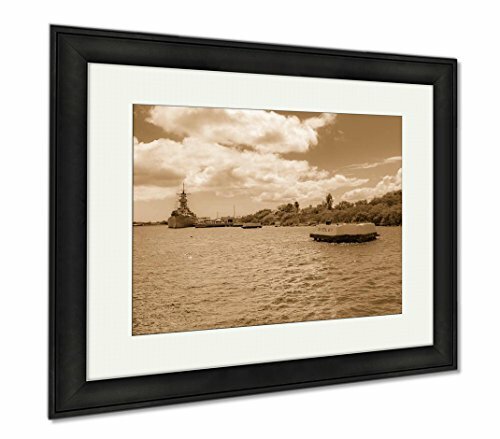 Compare prices on Uss Arizona Uss Missouri at ShopPlanetUp.com – use promo codes and coupons for best offers and deals. We work hard to get you amazing deals and collect all available offers online and represent it in one place for the customers. Now our visitors can leverage benefits of big brands and heavy discounts available for that day and for famous brands.